There were PBs all round at the South West Para Competition last weekend! 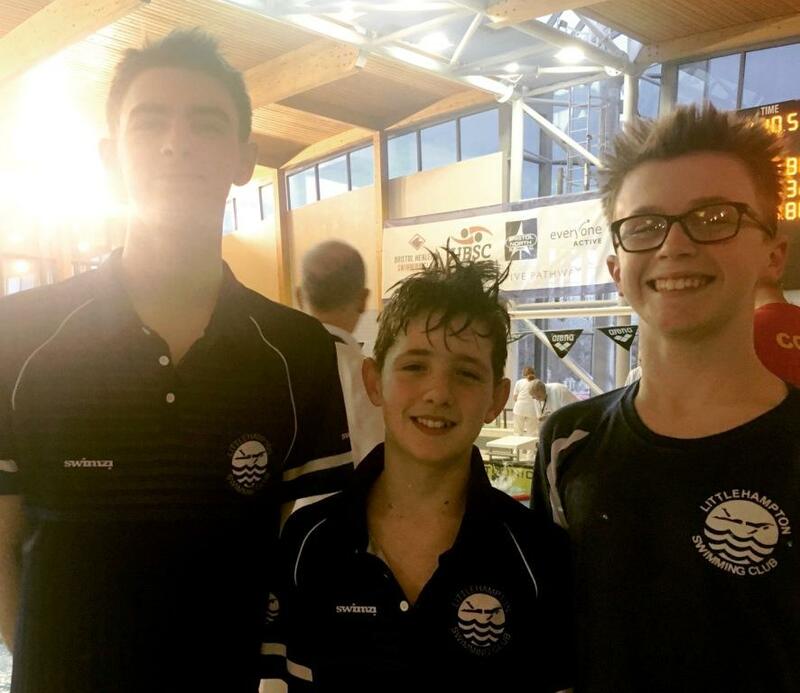 14yr old Joe Greaves (S14), 12 yr old Marcus Harvey (S14) and 11yr old Lewis Jones (S9/8) all travelled to Bristol for this multi-disability regional competition, each swimming 4 events. British Disability points were awarded for their classification to determine the placings for each event. These do not take age into account, but are based on how close to the World record they swim. There was little time between races, with Joe, for example, having 3 races in 20 minutes and at one point finishing one race and walking straight round to the blocks for his next race still puffing! It seems no-one turned up for the girls event that should have been in between! Joe still managed to swam two PBs in his 100 free and 50 back, where he finished 3rd. Marcus swam new short course PBs in all four of his events – the 100 free, 100 back, 100 breast and 200 IM. Lewis swam two PBs in his 50 breast and 50 back. He was 4th in three of his events. Quite impressive considering Lewis has only recently returned to training after breaking his arm. All had an enjoyable gala. Well done boys!